You'll be able to download and install Windows 8 directly from Microsoft (when it's available) for $39.99 if you're running Windows XP, Vista, or Windows 7. Boxed versions with discs will cost an extra $30 at retail stores. While the installation process is straightforward, you'll make the move to Windows 8 a lot smoother and as painless as possible if you follow a few steps. Can your computer run Windows 8? The minimum system requirements for Windows 8 are pretty accommodating. 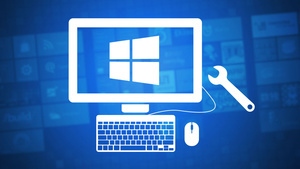 Microsoft says that if your computer can run Windows 7, it'll be able to run Windows 8. Look up your system specs by right-clicking on My Computer in the Start Menu and going to Properties (or go to Start > Programs > Accessories > System Tools > System Information). Special requirements/possible issues: Some reports say that a few more recently released Windows 7 PCs (mostly tablets and netbooks) won't be able to run Windows 8, because they use Intel's Atom Cedar Trail processor, which has problems with the new OS. So if you use one of these devices, you should probably hold off on upgrading or at least confirm it'll work for you. For certain features, Windows 8 has a few other requirements. To use touch, obviously you'll need a tablet or monitor that supports multitouch, but some laptops will get extra trackpad gestures. Windows Store apps require a screen resolution of at least 1024x768 and apps snapping requires at least 1366x768. This can be a problem for netbooks, which typically have a resolution of 1024x600 pixels, although there's a registry hack to fix that (it's a bit clunky, though). 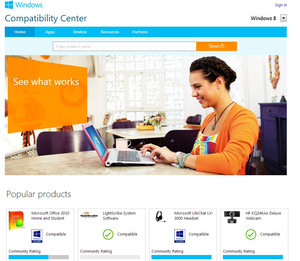 While most apps and devices that work on Windows 7 should be fine on Windows 8, to find out for sure, visit Microsoft's Compatibility Center or run the Windows 8 Upgrade Assistant, which scans your computer and checks for software and hardware compatibility. Windows 8, thankfully, doesn't have as many "editions" as previous versions of Windows did. You essentially have two choices: Windows 8 or Windows 8 Pro. The Enterprise edition is available for businesses, and you'll find RT on tablets, but for home computers you only need to decide whether you want the Pro version or not. Check out Microsoft's comparison chart to see the difference, or the Windows Super Site's more detailed chart. If you want Windows Media Center, you can now buy that as an add-on to Windows (though it's currently free for a limited time). If you're doing a clean install (i.e., letting Windows wipe everything off your drive before upgrading) or installing Windows 8 onto a new partition or in a virtual machine, you can skip this step. But if you're planning to do an in-place upgrade to keep your documents, programs, and settings intact, now's the time for a little housekeeping, so you don't have junk carried over to the new OS. 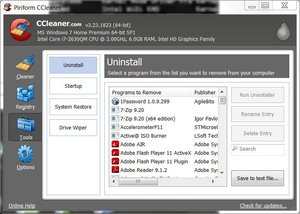 Remove apps you no longer need: Revo Uninstaller (free), our favorite app uninstaller for Windows, completely deletes every trace of a program with just a few clicks. Clean out the junk files: The speedy Ccleaner will banish temporary files, log files, and other space-hogging stuff you don't want on your new Windows 8 system. Defrag your drive: Even though we don't generally recommend defragging Windows Vista or Windows 7 PCs because they are already configured to defragment your drives, it's a good idea to check if your drive actually has been defragmented. By default, the defrag runs at 1 am every Wednesday, so if your computer isn't on at that time, it might not actually be defragged. 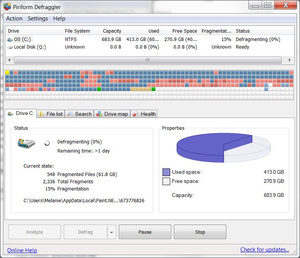 While the built-in defragmenter is fine, a third-party tool like Piriform's Defraggler offers more features. Also note that if you have a SSD, you do not want to defragment. Windows might balk if you try to upgrade but are missing important patches. Save yourself some time tomorrow and get the latest updates (especially service packs) now. Also, if your programs are updated, you have a better chance of them running correctly on Windows 8. Run the system updates by going to the Windows > Software Update. To check which programs need updating, you can use a utility dedicated to that purpose, such as Update Notifier or a tool like Soluto, which also speeds up your system boot time and fixes slowdowns. Whether you're doing a clean install or an in-place upgrade, there's absolutely no doubt about it: you need to back up your computer and make sure the backup actually works. Backing up your PC with Windows' built-in utility is really easy: plug in an external drive and just say yes to using it as a backup drive. Test the backups by doing a few restores of older and newer files to make sure you can recover your files if needed. And now's a good time to make sure your online backup tool has recently backed up 100%. Offline backup tools offer more options, including automatically verifying backups and creating a complete image of your PC, so you might want to use one of those for this special task, just to be sure you can completely backtrack if the upgrade goes awry (or you absolutely hate Windows 8). Last but not least, make sure you have the media and product keys for all of your programs. Just take a stroll through your programs folder or export a list of installed programs from CCleaner. For good measure, also make sure you have the drivers for at least your network card(s).